San Diego Coastkeeper will be hosting a beach cleanup in Mission Bay on Saturday, October 27th, 2012 in partnership with SeaWorld Rescue and SeaWorld Cares. The organizations are coordinating an on-the-water and shoreline cleanup of Mission Bay. 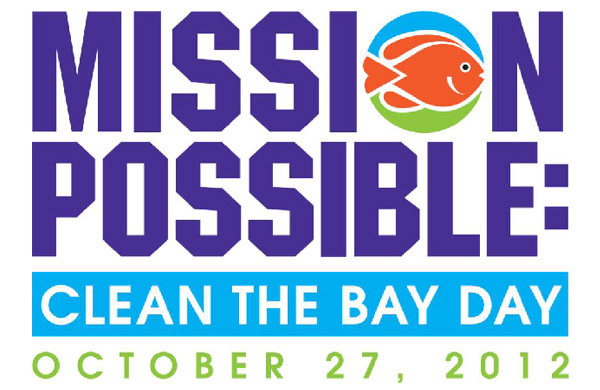 Mission Possible: Clean the Bay was developed to help protect the marine habitat and wildlife while encouraging people to get out and enjoy our water. We all know that it is important to our local businesses and tourism, supporting boating, swimming, and fishing activities year round. Our boating and paddling communities are some of the groups most impacted by the presence of marine debris, so they'd love your help. The event will start at 8:00 a.m from South Shores Park and run until 11am. Participants are encouraged to bring their own boats, kayaks or paddleboards to help with the effort on the water. For those not bringing watercraft, shoreline help is welcome, too! San Diego Coastkeeper will be providing all cleanup materials and SeaWorld has generously provided prizes for participants. Following the event from 11am-noon, they will tally the trash count, distribute prizes and have food for participants from Rubios! San Diego Coastkeeper is looking forward to a great day keeping our waterways and beaches clean and hope to see you out there! If you plan on attending, please RSVP to [email protected] or call 619-758-7743 x 131 for more information.